The band, whose sound has been described by NPR as “joyous folk pop,” just released the new single “Taking Love.” Based in Seattle, Kuinka is made up of Miranda Zickler, Jillian Walker, and brothers Zach and Nathan Hamer. 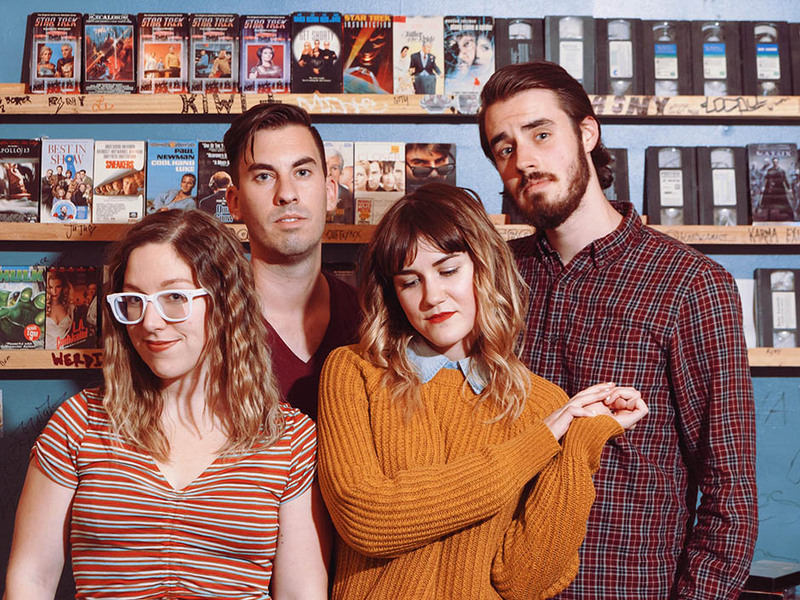 Unlike the track list on their 2017 EP Stay Up Late, “Taking Love” takes a turn from their classic indie sound. Though the band has managed to maintain the modern folk and Americana vibe, “Taking Love” moves further toward retro electro, adopting a more percussive sound than ever used before by the band. The result is a ridiculously good modern synth-pop with incredibly satisfying vocal harmonies — the kind of song you just can’t stop repeating. Watch the spooky Hitchcock’s “The Birds”-inspired music video for “Taking Love” below! Click here to explore Charleston, SC on Culture Collide. Matt Costa Drops A Collection of Narrative Tracks "The Road To Santa Rosa Fangs"
Savoir Adore Turn Heartbreak into Beauty on "Black and Blue"
Wander the City of Lights in Roman Lewis' video for "Midnight in Paris"
Harrison Pulls Us Into a Dreamy Futuristic Landscape with "Atmosphere"
Milo Greene Goes Full '80s Pastiche on Sultry Video for "Move"
Colyn Cameron Feasts on Desert Fruit in Video for "Loss For Words"